View infographicTechnology has become a part of almost every day-to-day activity. Things are no different for how brands do business. The customer journey has been transformed to address rising expectations in speed, precision, personalization and security through implementation of technologies at crucial touch-points, or the moments of interaction between the brand and the customer. View infographicWhat we think about in customer service could be wrong, from what customers want to who’s the best personality for teams. Research firm CEB (now part of Gartner) recently presented findings from a number of studies carried out within the realm of customer service across the world. We explore these findings and offer actionable steps and useful resources to begin customer service transformations within any company. View infographicDomino’s has been seeing double digit growth for several consecutive quarters. The pizza chain has been outperforming giants such as Google or Facebook on the stock market. What contributed to the success of this company, once simply known for bad pizza? How did the brand harness technology to embed itself into the lives of its customers by delivering a better experience? Take a look at our report where we provide some background on Domino’s and explore their Customer Value Proposition using our CVP Canvas to identify the brand initiatives around product innovation, added-value services, shopping experience, and communication that contributed to a new success. View infographicWelcome to the latest in our Snapshot series. In this edition, we will delve deeper into what defines and motivates the next generation of consumers, focusing on girls. Growing up “publicly” online has inevitably lead to an increase in self-consciousness. They have grown up closer to gender equality, a readily available outlet for their voice to be heard as well as almost every service at their fingertip. We explore how this is changing their values and ways they engage with brands. Experts predict that Amazon is going to become the most valuable company in the world this year. No other online retailer comes close to the e-commerce giant. With the introduction of Amazon Go, a new technology that provides a checkout-free shopping experience, the retailer is pushing further into the physical realm, setting new standards for the future of brick-and-mortar. Amazon is striving to be “Earth’s Most Customer-Centric Company”. In this report we will shed light on how the e-tailer actually creates value for its customers in four interrelated but distinctive areas: core product innovation, added-value services, shopping experience and communication. “UN-CARRIER” is a bold marketing initiative from T-mobile USA launched in the beginning of 2013. Mobile providers are often seen as notoriously insensitive to the needs, pains and expectations of their customers. T-mobile’s “UN-CARRIER” was a bold and brave business move that challenged category conventions to become truly customer-centric brand. The “UN-CARRIER” is a real game changer with a fully integrated customer value approach based on three main principles: SIMPLICITY, FAIRNESS AND VALUE, which brought the company 22 million new customers only in the first two years. 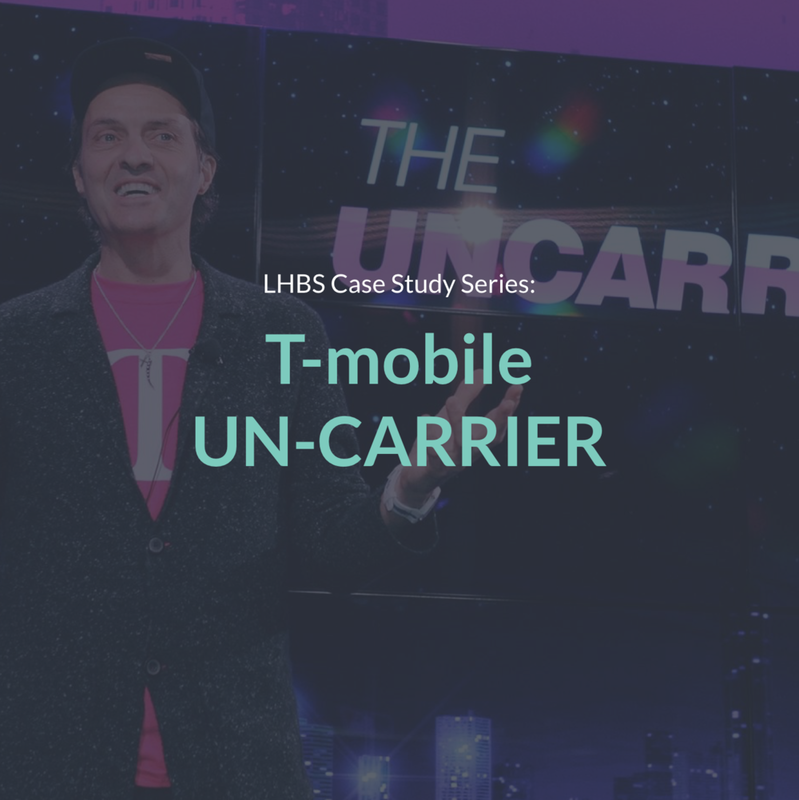 Our newest case study outlines the “UN-CARRIER” Customer Value Proposition and maps it out in the LHBS Customer Value Canvas. LHBS Customer Value Canvas is a tool we use to develop integrated customer value offers. We believe that any business or brand can create value for its customers in four interrelated, but distinctive areas: Core Product, Added Value Services, Shopping Experience and Communication & Touchpoints. Find out how to apply Customer Value Canvas to your business. Get in touch with us!